Each one of our physicians has been in practice for more than twenty years and we pride ourselves in providing sensitive care in a timely manner. 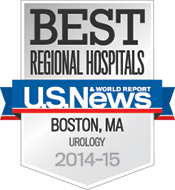 Our surgeons have varied interests within the Service of Urology. We routinely provide successful surgical and non-surgical treatment to patients from throughout the Greater Boston area and New England. Our offices reserve time Monday through Friday for urgent appointments and we accept most insurances.